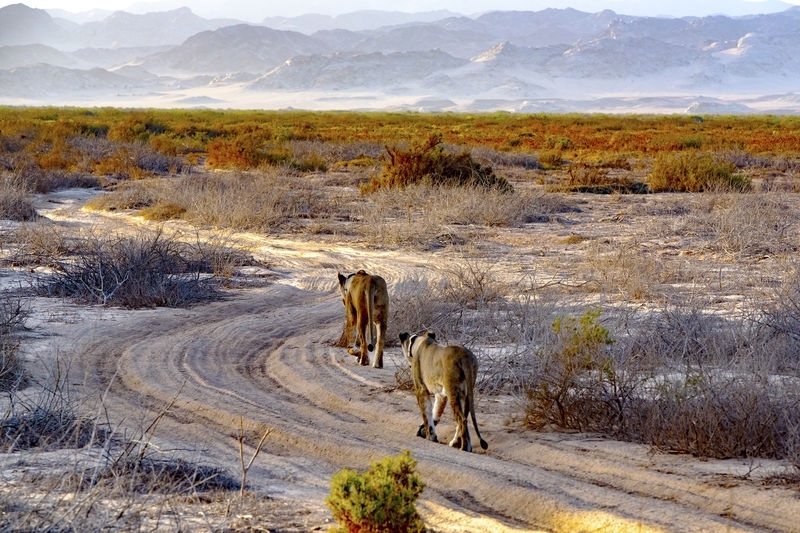 Desert-acclimated lions in the Hoanib River Valley of Namibia are endangered due to proximity to local populations. These two lions are aunt and niece and they are related directly to the 5 musketeers who gained notoriety in a recent documentary. This image was taken with the setting sun over the Namibian landscape.